Soap is perfect as a complimentary gift ( bomboniere ) at your wedding. 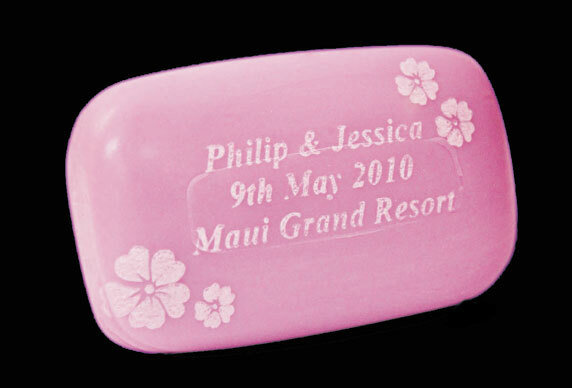 Soap is available in a huge range of fragrances and can be personalised at E4 Engraving to give a truly unique experience for your guests. Soap bombonieres are affordable and easy to work with, it is something that your guests will hold onto for keep sake for many years to come.